RepairPermissions V3 – Now supports repairing permissions on macOS Mojave | FireWolf Pl. RepairPermissions is affiliated to FireWolf’s KCPM Utility Pro and FireWolf OS X PE Maintenance Kits. Both families will adopt the new features of RepairPermissions V3 in next major releases. RepairPermissions supports running in OS X Normal Mode, OS X Single User Mode, OS X Recovery Mode, OS X Recovery Single User Mode, and FireWolf OS X PE. It is recommended to install RepairPermissions to /usr/local/bin so that you can directly run RepairPermissions in your terminal. This usage guide is currently frozen for RepairPermissions 3.0.1105+ (Stable Release). !!! Make sure that your SIP flag CSR_ALLOW_UNRESTRICTED_FS is enabled. !!! This is the simplest use of RepairPermissions. By default, this command will help you repair permissions of the root volume, aka the current boot volume. Note that the results will NOT be displayed on the screen but will be saved to your Desktop folder (~/Desktop/RepairPermissionsResults-<time>.txt). This is a handy command to use RepairPermissions. It will help you repair permissions of the root volume, aka the current boot volume, and will save the results to a plain text file named Result.txt in your Desktop folder. This command will help you repair permissions of the root volume, aka the current boot volume, and will prevent RepairPermissions from saving the results on your local disk. More detailed usages are available via typing RepairPermissions --help. Description: targetVolume is a valid mount point of an os volume. See usage examples below for detailed information. --help              Print this usage guide. --verify            Verify permissions of the given volume. --repair            Repair permissions of the given volume. --output <path>     Print detailed information to the given <path>. <path> must be an absolute path. --max-thread <n>    Specify the maximum number of threads. <n> must be an integer. --no-output         Prevent RepairPermissions from saving results on your local disk. --update            Update RepairPermissions to the latest version. Feel free to use the comment section to report any issues. Adjust the parser algorithm: Switch to dynamic programming to speed up parsing further. POSIX permissions are converted to octal number in the report as before. Adjust the update catalog URL. Note that previous versions (<= 3.8.3200) may no longer receive the latest update via the `–check-update` option. It is highly recommended to update to the latest version. Happy Holidays! I’m so “excited” to bring the next major release of RepairPermissions! This new release mainly focuses on improving performance and robustness. Reimplement the underlying parser in pure C.
libRepairPermissions now interacts with the parser natively without additional wrappers. The data structure has been redesigned to reduce the memory usage significantly. The algorithm has been improved to speed up parsing and is now compatible with multithreading. A better multithreading approach to use multi-core processors more efficiently and equally. Minimize the number of synchronous operations and make multithreading more robust. The procedure to check file permissions has been improved to reduce the memory usage by up to 50%. Fix the compatibility under OS X Mavericks and OS X Yosemite. Improve the generated report: Now it can be interpreted and serialized to other formats more easily. Improve the front-end command line interface. Add a new option “–plist” to save the results in property list format. The update manager becomes a separate module to provide more robust services. Fix an issue that POSIX permissions of the updated binary are falsely set. Some changes related to design choices. Remove the real-time progress indicator of verifying/repairing permissions because of consuming unnecessary CPU time. Currently, the new libRepairPermissions does not report real-time progress. Although it is not difficult for me to add this functionality back, I believe real-time progress slows down the process of checking permissions. Maybe I could add a new option like `–with-progress` for you to choose between high efficiency and psychological comfort? Remove the real-time progress bar of downloading updates from the server. The update is so small (about 2MB) and do we really need a progress bar for it? For those who upgrade from 3.6.x/3.7.x using the builtin updater, you may find an error “Illegal instructions: 4” when you are trying to run the new binary. This is because the updater falsely sets the permissions of the updated binary. Please manually fix the permissions via sudo chmod 755 /usr/local/bin/RepairPermissions. Sorry for the inconvenience, and this issue has been addressed in 3.8.3200. Reduce the number of file I/Os. This is probably related to the new file system. I will keep an eye on this issue. Fix a memory allocation issue. Add a new command `–update` so that users can directly update RepairPermissions to the latest version. Improve the error handling in libRepairPermissions. Other under-the-hood improvements in libRepairPermissions. Minor fixes in FWRepairPermissions APIs. Adopt Swift 3, and bump the API version to 3.0. New algorithm and data structure used in the core layers of FWRepairPermissions APIs boost RepairPermissions up to 20X. Improve memory management and code structure. Adjust the code structure of high-level APIs to support the new core layers. This is still an internal beta release. Significantly improve the core layers of FWRepairPermissions APIs. Use new algorithm and data structure in the core layers to speed up verifying and repairing permissions. This is an internal beta release. Synchronize the internal FWRepairPermissions APIs with KCPM Utility Pro V6. Optimize the internal code and data structure. Reconstruct the output results. It is now more easy to read. Bump the internal FWRepairPermissions API version to 2.0. Bump the internal FWRootlessKit API version to 2.0. This is an internal version. Ignore this. : ). Owner of the results file generated by RepairPermissions in Normal Boot environment will no longer be root. Now you can delete the results file without typing your password. To fix your home directory permissions, type sudo chown 501:80 ~ in your terminal. Support verifying and repairing permissions on volumes other than the root volume. As of Beta 9, RepairPermissions will check your SIP flags. If the CSR_ALLOW_UNRESTRICTED_FS flag is not set on your machine, you will receive a warning message, but RepairPermissions will still keep running. Add a new option --no-output. Users can use this new option to prevent RepairPermissions from saving the results on your local disk. As of Beta 7, RepairPermissions now supports running in OS X Normal Mode, OS X Single User Mode, OS X Recovery Mode, OS X Recovery Single User Mode, and FireWolf OS X PE. Note that it is recommended to use the default path to save the results, especially in OS X Recovery Mode, OS X Recovery Single User Mode, and FireWolf OS X PE. Bump the internal RepairPermissions API to 1.3 to fully support all boot modes. RepairPermissions now supports running in Single User mode. Minor changes in terminal output format. Bump the internal RepairPermissions API version to 1.2 to support custom thread configurations. --max-thread option is now compatible with the new API. Fix a potential deadlock bug. Improve code structure and the error handling mechanism. Results of verifying/repairing permissions will now by default be saved to ~/Desktop/FWPRResult_<time>.txt. Add a progress indicator to show current progress and status. Bump the internal RepairPermissions API version to 1.1. Improve the internal RepairPermissions API to fully support KCPM Utility Pro 6.0 Beta. Temporarily remove the option --max-thread introduced in Beta 3 as it is currently not compatible with the new API. Add new option --max-thread to specify the maximum number of thread that RepairPermissions can use. Minor tweaks and fix some typos. Fix a fatal error related to fixing permissions. I’d like to know which SIP flag(s) should be disable before using your CLI? If I do not want RepairPermission to store the output information on my disk, what should I do? A new option `–no-output` is now available as of Beta 8. Check it out! Sorry for being stupid, but how can I use this? I downloaded it and double clicked it, then it shows a terminal window that I can’t enter any command. If I drag this utility on a terminal window, I can enter command, but it always says, command not found. Please help, thanks! Don’t be panic. Suppose that you have downloaded RepairPermissions on your Desktop folder, open your terminal and type the following commands. sudo -s // This will ask for your password in order to run RepairPermissions as root. ./RepairPermissions / // This will run RepairPermissions as root and help you repair permissions of the your root volume, aka the current boot volume. So basically, you have to first change your terminal directory, then login as root, and finally run the RepairPermissions. RepairPermissions is recommended to be installed into /usr/local/bin so that you can just type sudo RepairPermissions / in your terminal window to quickly and easily run RepairPermissions. Feel free to ask if you have further questions. thanks for your helpful reply, it’s working now, cheers! Hi, I tried these steps but they did not work. I get “command not found.” help? Suppose that you have downloaded RepairPermissions on your Desktop folder, open your terminal and type the following commands. And here I encountered an issue that after executing your RP, and try making a directory requires administrator password… It seems that your RP has a bug? I didn’t quite understand your question. Please avoid using any translation software. So where did you try to create a new directory? Do you have the text file generated by RepairPermissions? I don’t know what are talking about, either. But, as you mentioned which the Repairpermissions could generates a file(or clearly say a text file), If so, does Repairpermissions creates a file which has a special properties(775,root:wheel,you know)? Yes, RepairPermissions does generate a text file owned by root. This issue has been fixed in the latest 3.1.1155. Action: Marked as duplicate by FireWolf. Reason: Response time out. Probably the same issue as arslan2012’s. Already solved in 3.1.1152. Copyright (C) 2016 FireWolf @ FireWolf Pl. All Rights Reserved. Info:	RepairPermissions is running in Normal Mode. Info:	File permissions on / will probably not be repaired successfully. Info:	This will take some time. Grab a cup of coffee and be patient. Info:	Available Processors: 8; Will use up to 8 processor(s). it stop at 25%,i see SIP Allow Unrestricted File System [DISABLED].but use csrutil status show:System Integrity Protection status: enabled. so that ,how can i use it fix my disk?looking forward for your reply,thanks! I have installed and used for a long time. However,I really feel puzzled,although the system information shows that SIP has already enabled, actually I disabled the kext and file system restrictions while I type csrutil status in terminal.Unfortunately,your tool using red words to notice that file system restricted is disabled,so I felt something wrong,And finally I cannot understand what does it means.It meant me to enabled file system restriction? SIP Allow Unrestricted File System [DISABLED] means that your system directories are being protected by Apple’s System Integrity Protection (SIP) mechanism. That’s why csrutil status showed that System Integrity Protection status: enabled on your computer. So please make sure that you have turned off the SIP successfully before using RepairPermissions. Also note that if SIP Allow Unrestricted File System is disabled, RepairPermissions can only verify file permissions for you. Feel free to ask if you still have any questions. And today I’d like to post one more issue. After running your RP and I get a null folder named Applications which is located in /Users/`whoami` . I also posted this issue at PCBeta. I don’t think your issue is related to RepairPermissions. First of all, RepairPermissions will not create or delete any files or directories. It will only verify and repair file permissions for you. Secondly, ~/Applications may be created by other applications such as Parallels Desktop. ~/Applications is a special directory where Mac users can put their private applications which cannot be accessed by other users. Basically, ~/Applications is to /Applications as ~/Library is to /Library, although it is not created by default. Therefore, this should not be a bug of RepairPermissions, and if you still have further questions, please let me know. I tried to remove ~/Applications and re-run your RP. # Previously I run `sudo rm -rf ~/Applications` therefore no ~/Applications here. # Now I run `sudo RP /`. Info:	Runtime environment is now ready. Oops. Yes. Maybe it’s created by other apps. Thanks anyway! Any updates for 16A323? I’ve run it on earlier developer builds and it didn’t fix the issues of me constantly being asked to enter credentials to repair Library permissions. I’m trying to avoid completely rebuilding, but it’s looking more and more like that will be my only option. RepairPermissions is working fine on my computer running 16A323. What do you mean by constantly asking credentials? Your password is required because RepairPermissions needs to be run as root. I’ll have to try it again. I did it with an earlier build with your latest non-corrupt download with CSR_ALLOW_UNRESTRICTED_FS under sudo and it didn’t work. Same result after another attempt of ./RepairPermissions /. Since the first GM seed of macOS Sierra I’ve experienced hundreds of prompts for my credentials to repair Library. Nothing seems to fix it. What logs would you need to figure out what is going on? Also as a result almost nothing works. No use of App Store, iTunes, Mail, Preview, or most Apple applications. Safari will open but will eventually stall out when it tries to access something. Are you a Hackintosh user or a genuine Mac user? Your system probably is corrupted. What happened when you were trying to run RepairPermissions /? I need detailed information. The results you posted look good. Since the first GM seed of macOS Sierra I’ve experienced hundreds of prompts for my credentials to repair Library. Could you please show me how you are prompted to enter your credentials to repair the /Library folder? You can upload screen shots to Dropbox, Google Drive, etc. I saw your screen shot. This is probably because you home directory (~) permissions are not set correctly. The Library in your screen shot probably refers to ~/Library. Note that RepairPermissions does not repair permissions of your home directory because they are user-level. However, you can try to reboot into Recovery, choose terminal from the Utilities menu, type resetpassword and hit return. Then choose your username in the reset password window and click the Reset Home Folder Permissions and ACLs button. Oh, great. I just find that Apple has removed this feature in macOS Sierra. That would be most excellent. Someone else is going to be stuck like this and Apple’s removed everything to fix it. I have good news. I found a binary named repairHomePermissions in /usr/sbin. It seems that Apple has separated the repair home permissions function from the resetpassword. So I suggest you reboot into Recovery, open the terminal and run repairHomePermissions. Unable to launch the underlying task process. So there’s more to figure out. I might go deep with this as I have contacts with Apple’s Executive Support. Anything else you would suggest I do would be huge to me. I want to fix this. I hate avoiding problems by going clean slate as that’s just avoiding something that will come up again. Wow. Glad to hear that. Congrat! Sure, you can use the latest version of RepairPermissions to do that. And the answer to your second question is No. RepairPermissions does not rebuild caches, but you can try to use sudo kextcache -i /Volumes/yourElCapitanVolumeName in terminal. SIP Allow Unresitricted Files Sytem ist enabled. That’s because / always refers to the root volume or the current boot volume. If the volume label of your startup disk is “Macintosh HD”, you should use ./RepairPermissions /Volumes/Macintosh HD instead. Error:	Unable to check for updates. Checking update should be working now. This is because I accidentally forgot to renew my SSL certificate. I was hoping that you could look into the problem and let me know if there’s anything that could be done. Error:	Failed to update: Unable to replace the current executable. Auto-update will be fixed in the next release. Hi, I have a problem with sudo command. Any idea to solve it? Hello, awesome utility and great work!! You are not using the latest version of RepairPermissions. 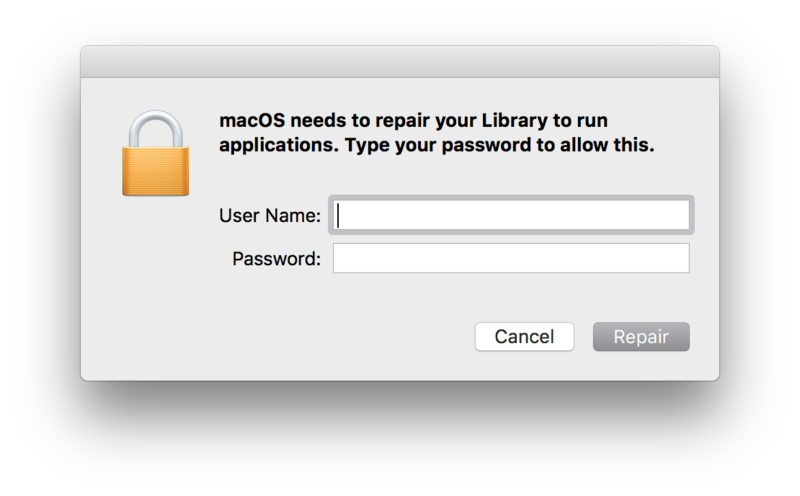 Use v3.7.2315 or later to repair permissions under macOS High Sierra. I eagerly wait for a solution. This issue is related to expired or invalid SSL certificates on my server. I have fixed the cert issue. I’ve just experienced this problem again. I am making a SIMBL plugin that loads into Disk Utility and adds buttons for Verifying and Repairing permissions! Can you check my code or anything and tell me if there is something wrong??? Please tell me if you wouldn’t like your application to be used by mine or you would like me to add your name somewhere..
FireWolf its me again! I may be able to run your utility as root, but need to check something first! I will tell you the results so please wait! Right now I call your utility from the SMJobBlessHelper from this example project!!! I haven’t yet updated the EnhanceDiskUtility project to use this approach!!! I started to write for help. But it now appears you’ve solved my problem! I’ve spent hours searching and trying different ‘fixes’. I had to copy and print the text so I could see beyond the wolf. I’ve now recovered my precious collected notes of 5 years. Very Grateful!!! I spoke too soon. The docs I’m trying to repair are individual notebooks in a Notebook program. For some reason, I found one in the trash after running your program. When I dragged it from trash onto Notebook icon, it worked, no more ‘need permissions’ message. I had to do the same w/ each of the other 3 notebooks, drag to trash and then onto icon. All of them appeared as expected, unchanged from tthe originals. Except, when I close the app and reopen, they’re no longer there. I have to drag to trash, then back onto icon for parent notebook, and they’re there again. But again, disappear after quitting and reopening. I had a hard time working out the directions, I am a bear of little brain. After downloading your program, I had to open a new terminal window to be able to input any commands. I eventually input what you’ll see on the info I’m posting below. Maybe i was close, but not good enuf?? ?Thanks for helping. Error:	RepairPermissions requires ROOT privilege. Error:	Please use `sudo RepairPermissions` to run me again. You should first copy the `RepairPermissions` binary to `/usr/local/bin`. 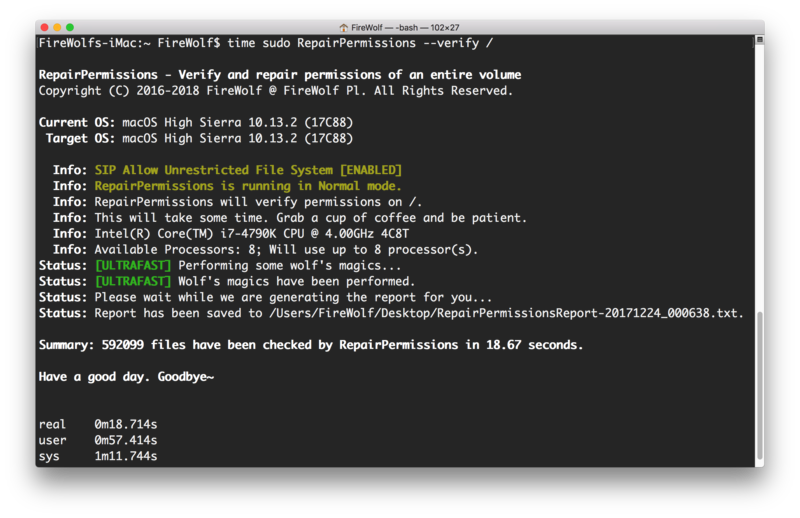 Then open a terminal window and type `sudo RepairPermissions /`. Your `sudo` is broken, and you have to first fix this issue. Try to boot in the single user mode, and type the following commands to fix it. After you fix the sudoers, copy the `RepairPermissions` to `/usr/local/bin` by typing the following commands in your terminal. Hope this can help you. Feel free to ask me if you still have questions. I did what you said to fix the“sudoer” issue. I did run RepairPermissions as root, but it didn’t fix any permissions in my user folder such like mail. Really need to correct those permissions in order to run mail and to revive my e-mail accounts, mailboxes and e-mails. I always did regular backups with “Deja Vu”, not Time Machine. After my Mac Pro 12-core had a total failure and was repared, they also renewed the SSD. After using the migration assistant I have problems to install updates such like “1 Password” and the Mail app doesn’t find my accounts, mail boxes and mails, only the email signatures. I guess this is problem is caused by broken/wrong permissions, and I really need to fix it, cause it’s my main workstation. Hope you can help me. Do you have a WhatsApp, facebook messages or e-mail for faster communication? Guess you know where to look and what to do and need some screenshots. Folders that belong to the user will not be checked or repaired, because those folders and files are owned by you. For example, “/Users/YourUserName/”, “/usr/local/”, etc. Setting permissions of user folders and files incorrectly will cause lots of problems, so RepairPermissions don’t touch them. It’s user’s responsibility to maintain those folders. But this seems to be my problem too. My Mac Pro came back from repair with new SSD and I had to install OSX first, including creating a new admin user with the same name and password as last time. After that I was able to migrate the files from a backup, but it seems that the new Alex admin user, besides having the same name and password, is not the same as the old one. This causes a permission problem and mail to ignore my previous mal data like accounts, mailboxes and e-mails. I need to correct the permissions inside my user libary. So, can RepairPermission help to solve this problems, or not? Really need help with this! RepairPermissions does not repair permissions of folders and files, such as /Users/yourUserName/, /usr/local/, etc., that belong to users. This is a design choice as it is users responsibility to maintain those files, and it is impossible to know what permissions the user want to set. I am not familiar with the software you use to backup and restore your files, but if you really think your issue is related to incorrect permissions of your home folder, you can try to type “sudo chown -R 501:80 ~” to reset the owner and group of your home folder. Besides, Apple provides an utility named resetHomePermissions in their Recovery. You may also want to try that. That’s my suggestion about the permissions, and I hope it clarifies your guess. Now my guess is this issue may relate to “database” because you say that softwares like 1-Password and Mail cannot find your account. Basically during the migration process, your files related to Mail.app and 1-Password may not be correctly migrated. By saying “correctly migrated”, I mean (1) Are those files placed at the correct location? (2) Are those files permissions correctly set? (3) Are those files correctly imported by the software? If those files permissions are correct, and 1-Password/Mail still cannot find your account, then the issue may be complex and cannot be solved by RepairPermissions. RepairPermissions is not a file recovery tool. All it does is to make sure that the operating system can run without permission issue. (System Level) However, I think your issue is probably user level. Hope this could help you. I understand the feeling when everything messes up. Many are having issues with finder icon previews for audio files not showing album art. May be somewhat permission related but more likely some sort of bug. Any suggestion as to what section of the OS to work on with regard to permissions to try to workaround this issue? thx.. 10.13.2 beta 3. I think it is more likely a bug. If it is not fixed in the stable version of 10.13.2, you can try to contact Apple Support. I downloaded the archive from GitHub, but maybe you can fix that on this site for other users. I’m using a Mac with 10.13.1 and Chrome 62.0.3202.94. This issue is related to my server migration, and I will fix it soon. I would need your tool to repair my OS, as i can’t use the trash bin anymore. Unfortunately I’m not able to unzip the tool. None of my zipping apps (MacOS onboard, Dr. Anarchiver, Keka…) works. Terminal says “no such file or directory”. What can I do? Thank you. Supposed the downloaded binary is in your Desktop folder, open the terminal and type the following commands to run it. By the way, the trash bin issue may not always be related to the permissions, but let’s just try it. Yeah, that worked. Thanks. But, as you mentioned, the problem still exists. Let me just describe it: since two days everytime I want to move a file to the trash, I get a message from MacOS that the file will be deleted immediately. If I confirm, the file is delted completely and it’s not in the trash. But only for files from Macintosh HD (interntal SSD). With all my other drives the trash works well. Should I reinstall MacOS. Would reinstalling it delete my personal data or only replace the system files? Thanks for your support (if you have time to answer). That’s interesting. Please check whether your trash folder permission is correct or not. The owner of the .Trash folder should be your login name and the group owner should be `stuff`. To fix this issue, use sudo chown -R 501:80 .Trash and sudo chmod -R 700 .Trash. hi, i’m unable to update to repairpermissions v3.8.3200 (from 3.7.2315). after downloading the file it occurs “failed to update: unable to replace the current binary executable”! You can download the new release from this page and try to replace your current binary manually. I’m using your new version, and, under MacOs High Sierra, Repairpermissions runs well and corrects several posix permissions. The problem is that, in fact, they are not corrected. If for instance I run again Repairpermissions from the Terminal, the same errors are funded again and “corrected” again… What can I do? I am aware of this kind of “issues”. RepairPermissions did repair permissions of those files, but the operating system may currently use those files and alter permissions. Actually, such situations also exist when in the old days ‘diskutil repairPermissions’ is still available. I tried to fix permissions on High Sierra – went good except a few files (I don’t worry about them), but every time I’m starting repairing an error occurs. Copyright (C) 2016-2018 FireWolf @ FireWolf Pl. All Rights Reserved. Error:	Unable to read the current SIP configurations. Info:	RepairPermissions will repair permissions on /. 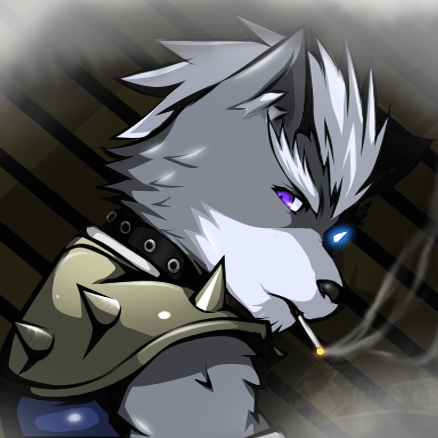 Status:	[ULTRAFAST] Wolf’s magics have been performed. Status:	Report has been saved to /Users/viktorstockinger/Desktop/RepairPermissionsReport-20180405_144348.txt. Summary: 551590 files have been checked by RepairPermissions in 469.25 seconds. How can I get rid of this error (Error:	Unable to read the current SIP configurations.)? Hope You can help or confirm this has no effect on repairing permissions! It is recommended to DISABLE the system integrity protection before repairing permissions, because SIP may prevent RepairPermissions from fixing file permissions/user id/group id. This error indicates that you are using a Genuine Mac and probably have never used the command `csrutil disable` in Recovery to disable the system integrity protection. Frank, I have the same issue. iCloud does not work either and RepairPermissions doesn’t fix this. RepairPermissions does not touch any files in your home folder. If you believe that iCloud does not work because of permission issues, check Apple’s support page to reset your home folder permissions. Are you sure that your issue is related to permissions? Have you checked the spotlight log and found any errors? You can also try to reset your home folder permissions. Hi FireWolf, I’m not a programmer but can follow instructions. I’ve just upgraded to OS X High Sierra 10.13.4 – could you kindly give me a step by step procedure of what to do for a repair permissions procedure. I’ll really appreciate it. Is it not possible to make a small clickable app that executes the procedure for regular guys like me ? Can you please provide clear step by step instructions again for non-programmers like me. I have encountered a minor issue with your utility! Could you please checkout the GitHub Issue I opened? First of all, thanks for creating this. I downloaded the latest version and attempted to run it in root on macOS 10.13.6. Never mind, I was using an older version. I installed the most recent version and it works. I tried your VL 2.0 and it works great – waiting for the 16.17 VL release! Downloads are available at the bottom of the page. Greetings FireWolf: I’ve downloaded RepairPermissions to run on Mojave – works great! Do you have a link for donations?